A Mexican official says former "Survivor" producer Bruce Beresford-Redman, whose wife was found dead in Cancun, has been released from detention but cannot leave the country. Quintana Roo state investigator Veronica Acacio says Beresford-Redman is still under investigation in the death of his wife, Monica Beresford-Redman. Acacio says Beresford-Redman was released just after midnight Friday. 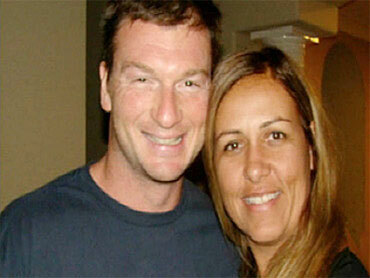 It was Bruce Beresford-Redman who reported his wife missing on Tuesday, Mexican officials said earlier in the week. A witness at the hotel reportedly saw the couple arguing on Sunday.